I cannot believe we're already a week into December! I'm feeling very festive now and we are putting up the decorations this weekend whilst watching a Christmas film and enjoying a Baileys. 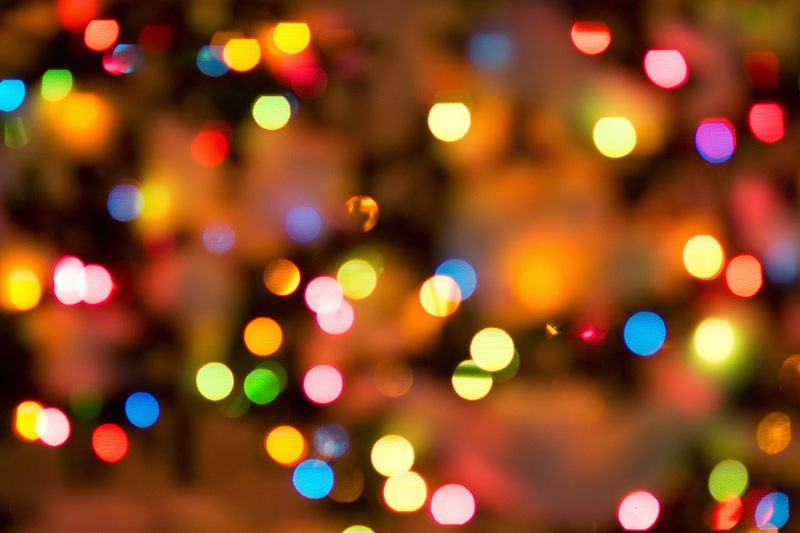 I am a massive Christmas fan, and I've been seeing the Christmas tag on quite a few blogs over the last couple of weeks and thought I would share one too! I found this one on Becky's blog - http://milkbubbletea.blogspot.co.uk which is one of my favourite blogs to read. We always open ours on Christmas morning. We sit beside the tree after breakfast and take it in turns to open a present. I remember when I was younger my brother and I got a new bike each for Christmas - I was about 9, he would have been 4, and we went out with my dad to our local park and rode them, and there was so many families out with their new bikes/scooters etc, everyone was so happy and jolly and wishing each other a merry Christmas. Mince Pies are my downfall…with Baileys cream on top. When I was 5 my dad made me a 3 storey Barbie house. It was about as tall as I was, made from wood, and my mum had really gone to town decorating it. It had curtains, and carpet, and completely furnished with Barbie gear. The walls were even painted and papered! I loved it for years! The smell of the Christmas tree as you walk through the front door. I usually spend Christmas Eve with my family, watching a Christmas movie in pjs. We have an angel. I can't remember where we got it from, but it was a good few years ago now. We used to have another angel that my mum had from when she was little, but it was falling apart more and more each year, so we had to buy a new one. I can't really think of anything really extravagant I asked for. Probably when I was little it was for a dog, but when I was 10 we got one. I think when I was around 11 I asked for a television to go in my room…all my friends were getting them, or already had them. That year I got my first one, with a built in video cassette player. It was amazing! Spending time with my family, and the atmosphere that Christmas brings. Everyone is happy, and looking forward to the big day. Today's post is about a fairly recent addition to the Dove Haircare range. The products I'm talking about are The Dove Advanced Hair Series - Pure Care Dry Oil Shampoo, Conditioner and the Dry Oil itself. I went to Boots a few weeks ago on the lookout for something that would caring on my bleach blonde hair during the cold weather. I'd been reading up on hair oils as I had never actually used any before, and I needed one that wouldn't weigh down my barnet, as although my hair looks thick - it's not, it's fine, but there's just a lot of it! 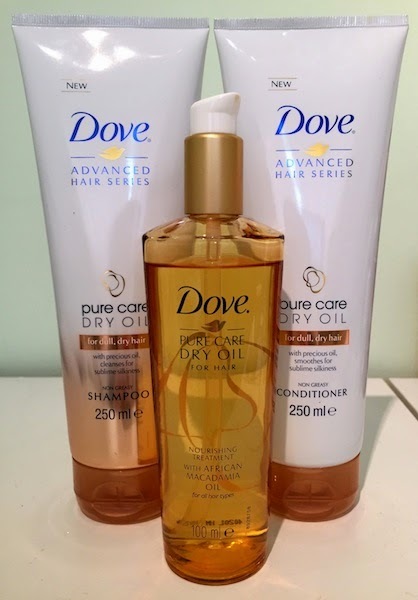 The Dove Dry Oil for all hair types had some pretty good reviews, so I thought I would give that a shot, I also picked up the matching Shampoo and Conditioner as well. I've now been using these products for about 4 weeks and here are my thoughts. The Shampoo and Conditioner come in 250 ml bottles with the classic Dove logo, but with white and Gold as the main colours. I'll be honest and say that I do prefer to be able to see how much product I have left in the bottles, but thats just my silly personal preference. The Shampoo and Conditioner were £5.99 each when I bought them. My hair often needs a moisture boost, but gets very weighed down if I use heavy duty products, so I was quite hopeful that this wouldn't happen with this range. The 3 products all have the same scent. The Macadamia Oil gives them a sweet, luxurious smell, but not an overpowering one. I used the Shampoo and Conditioner and then I quickly towel dried my hair, brushed it, and then used 3 pumps of the Dry Oil and ran it through the mid-ends of my hair. My hair currently sits just below my shoulders, so anyone with longer hair may want to use an extra pump of product. When I blow dried my hair I immediately noticed how soft it felt. It felt so silky I couldnt stop touching it! I usually get a lot of flyways, and by using the Dry Oil range I noticed that these had been dramatically reduced and my hair looked much smoother and shinier than usual. However, I did feel that my hair looked a little flat at the roots, my fringe felt quite weighed down and I found it difficult to get it to sit right that day. I usually wash my hair every other day, it doesn't get very greasy, only a little bit at the roots. The next day after using this range my hair looked very flat and a bit more greasy than usual. Using a bit of dry shampoo sorted it out though. I really like this range, but I think the Shampoo and Conditioner are a bit heavy going for my hair, which is a shame. I also found that after a few uses the Shampoo didn't seem to be cleaning my hair as well as others that I have, so I haven't been using the Shampoo and Conditioner on every wash. I'll finish up the bottles, but probably won't re-purchase. The Dry Oil however is the product I have loved! I use it nearly every wash and my hair feels so soft and smooth and looks in better condition. It was definitely worth the money. In my photo I'd used this product for about 4 weeks, so that's probably about 20 uses, and there's so much left! This I will definitely re-purchase when it eventually runs out! I would recommend the Dry Oil for someone who has dyed or slightly damaged hair, but that is also quite fine. It doesn't weigh it down at all, and people have complimented me on how shiny my hair looks when I've used it. You can buy this range in most Boots, Superdrug and larger Supermarkets. There are often offers on too. I got these on a 3 for 2 deal that Boots had on at the time. I have seen the Dove Oxygen and Moisture range, so I'm quite tempted to give that a try next time. Has anyone used these? If so, what did you think? Todays post is all about the new Limited Edition Liz Earle Cleanse & Polish that has been bought out this winter. I am already a HUGE fan of Liz Earle products. I use the Cleanse, Tone and Moisturise method every day, and I also use the Masks, Exfoliator, Shampoo and Conditioner, and I have a post about my skincare routine using their products on my blog already. Every now and then Liz Earle bring out a Limited Edition version of their famous Cleanse & Polish. I had the one from the summer which was Orange flower and Camomile, and they have now bought out one for the winter which is Sweet Orange and Mint. When I made an order online I also popped this into my basket and I am so glad I did! I was pleasantly surprised when my delivery arrived and I saw this Cleanser packaged inside this lovely box. Inside the box was the 150ml of C&P, 2 Gold trimmed Muslin cloths, and a useful cleansing guide. The bottle itself is very eye catching with the Orange and Green flowers on the White background. It is also a larger size of 150ml rather than the standard 100ml C&P bottle. I think this is well worth the £19.75 I paid for it. Most people have heard of the famous Cleanse & Polish, so I won't go into too much detail about how to use it. Basically, you pump some of the product onto your hands, and then massage it straight onto your face. You can even use it on your eye makeup and it doesn't make your eyes sting! You then run the Muslin cloth under hot water, wring it out, and gently massage across your face in a circular motion to remove all of your makeup and any daily grime. Lastly just splash your face with a bit of cold water and your good to go! This product is used in the exact same way. I did find that the consistency is ever so slightly thinner than the regular C&P, which made it easier to melt into your skin. The smell itself is what I love the most about it. When I first put some onto my hands, I could only smell the Orange scent. This itself is a delicious fresh orange scent, not an artificial one. But when I started massaging the cleanser into my skin I could smell the mint. It's a lovely fresh mint smell, like mint leaves from the garden. The two scents combined really work well together, aren't overpowering, and personally do remind me of the festive season. I knew I would love this Cleanser as I'm such a fan of the original, but I know I'm going to have to stock up on another bottle or two before they disappear from the shelves. I think this would make a great Christmas present for somebody, whether they already use Liz Earle or not. The packaging makes it looks so special, and the product itself is very luxurious, so I can imagine that anyone interested in Beauty or skincare would be very happy to receive this. 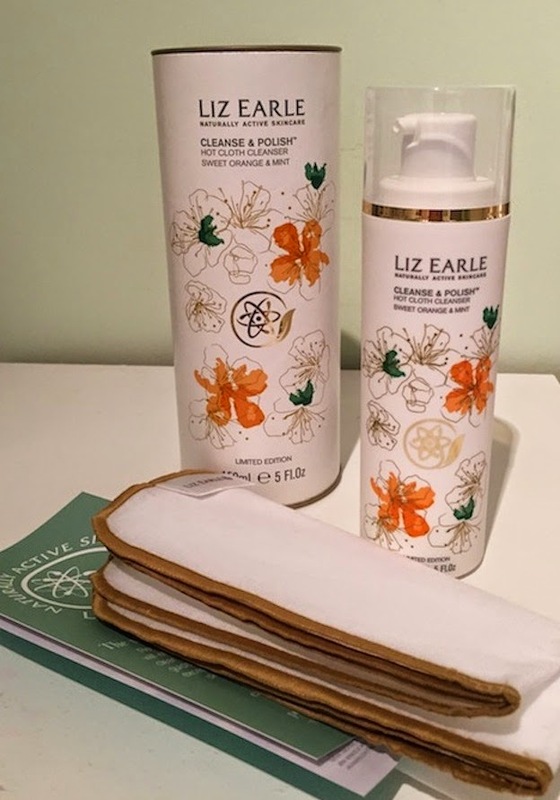 The cleanser is available on the Liz Earle website and also in some John Lewis and larger Boots stores. Last week I went on a shopping trip for some new items for my Winter wardrobe. I was badly in need of a couple more warm jumpers, a smart coat and a scarf. I managed to pick up everything I needed (and more) so I thought I would show you what I bought. 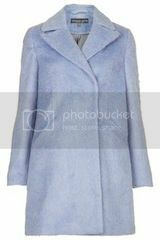 I went into town originally to buy the Blue coat featured in my wishlist post. However, when I tried it on in store I wasn't so keen. I also realised that a Blue coat wouldn't go with everything, so going for a more neutral colour might be a better choice. I saw this coat in River Island and loved it! I wasn't sure too if it swamped me as it's an oversized coat and I'm quite petite but I've had lots of compliments on it so far! 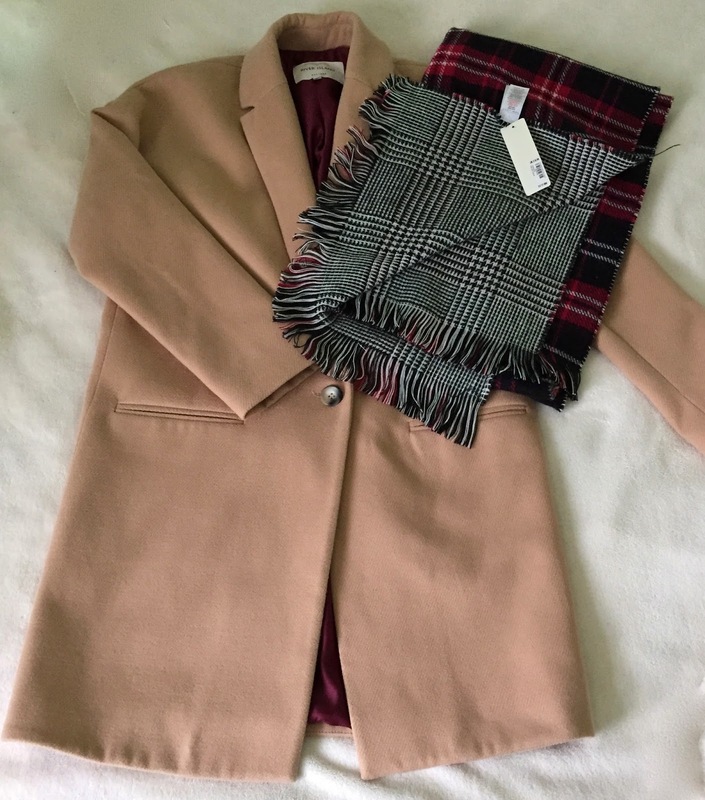 The scarf from New Look really goes with the coat. I love that it's reversible. I didn't realise how big the scarf was until I got home - it's HUGE, but I know that once it gets really cold outside I'll be very grateful for it. I don't shop in River Island that much, but I bought quite a lot from there this time! 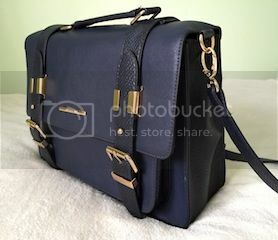 The Navy satchel bag looks really smart with the coat, is very roomy and feels really good quality. The Embellished Collar Bib is something I've been wanting for a while. I love wearing jumpers with a collar, and having this means I don't have to squeeze an actual blouse underneath - I find that can sometimes get uncomfortable. 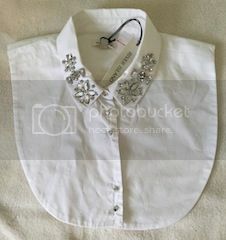 I love the jewelled collar on this one as it can turn a plain outfit into something a little more special. 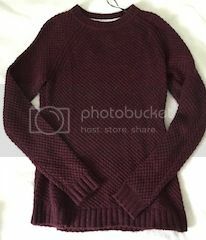 The Burgundy jumper from H&M is from their L.O.G.G range (Label Of Graded Goods) I've bought a few items now with this label and even though they are a little more expensive than the regular clothes in store, they are a lot better quality. There's a big H&M where I live, and there is a whole section for this label. If you have a larger store near you, I really recommend checking out the L.O.G.G section. 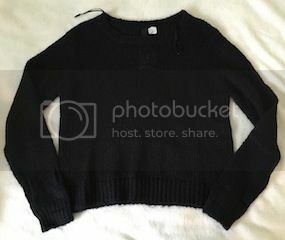 The Black jumper is from the usual range in H&M. 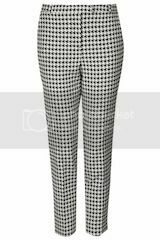 It's slightly cropped and loose fit so would look great with some high waisted trousers/jeans. The last items I picked up were some tights in Primark. The 40 denier ones I've been wearing to work just aren't cutting it now it's getting chilly. The Super Cosy ones are a Winter must have and are only £3.50 a pair! I'm pretty pleased with my purchases, they are all quite versatile so I can mix and match my outfits. I still need to pick up a hat and gloves and I'll be all set for the cold! Todays post is going to be a review of a foundation I have been using over the last couple of weeks. 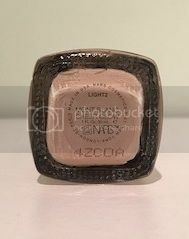 The foundation in question is one from a more 'high-end' brand which is NARS. 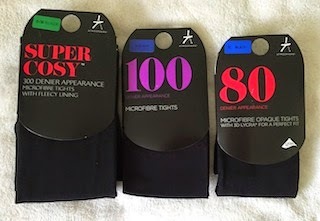 I was given a Space-NK gift card a while ago, and even though I had often lusted after the products they sold, I had never actually gone into the store near me. I was in need of a new foundation as my usual Estee Lauder Double Wear Light only had a couple of uses left, and after reading so many great reviews on the NARS Sheer Glow I thought I would give this a try! The assistant applied a little to my jawline and I left the store and went about my day to see how it looked and felt on my skin before actually parting with my voucher for the foundation. I went back in later the next day to pick up a bottle. I've now been using this foundation for a while, so I now can give it a proper review. 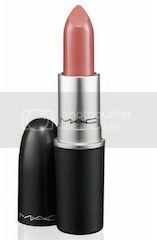 The bottle is rectangle shaped glass with the NARS branding on the side. It has a screw top lid, but the bottle doesn't come with a pump. You can buy the pump separately (£3 in Space-NK). I found this a little disappointing, but it was something that I could overlook and I have found that you just need to be careful not to pour out too much product as it's a very runny formula. The foundation comes in a wide choice of colours, 20 to be exact! So finding a shade to suit my skin tone was easy. I am shade 'Light 2 - Mont Blanc' This was a perfect match for me. For me it definitely does give a 'glow' that my regular foundation doesn't. This is one of the main reasons I bought it. My skin can look very dull in the winter months, and I felt I needed something to give it a boost. Personally, I haven't found the foundation to be that Sheer. It's a lot lighter on the skin than I'm used to, but it's certainly buildable. When I've applied it, it really gives me a very natural but radiant look which I love. It doesn't look cakey and it's great for daytime makeup. I apply it with one of my Real Techniques brushes, either the Stippling brush, or the Foundation brush. This is the only downside to this foundation for me. My skin type is normal, but I do get a slightly oily t-zone half way through the day. Usually my Estee Lauder foundation and Rimmel Stay matte pressed powder work really well together and my makeup doesn't melt off during the day. Sometimes I do apply a little powder just on my t-zone in the afternoon if needed, but not often. With the Sheer Glow touching up at lunch time was a must. I found that on my nose and chin the product wold really start to slide, and this was with me applying pressed powder to set the foundation in the mornings. I wouldn't wear this foundation on a night out as I can imagine it disappearing completely when in hot bars and clubs. I think it would be more suited to somebody with dryer skin. I really like this foundation for a daytime look, but for £31 I would want a foundation that wouldn't start disappearing on me after a few hours. Also the foundation doesn't contain any SPF which I found a bit disappointing. Would I buy this again? Maybe. I loved that it made my skin look so radiant and alive. You don't need to use much product either so the 30ml bottle will last me a while. 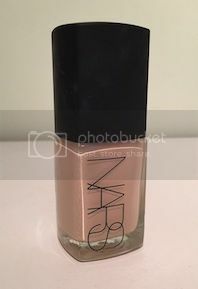 I'll certainly finish up the bottle and see how I get on, but I have seen the NARS Sheer Matte foundation on the Space-NK website so I might ask for a sample of that next time as it could be more suited to me. Has anyone tried the NARS Foundations? If so, what did you think? This little post is something I shall be putting up each month. It's 5 things that I have been loving throughout the last 4 weeks or so. They won't necessarily be beauty or fashion items - I will be doing a separate 'beauty favourites' post I think, but this is more about different bits and bobs I have enjoyed recently. I finished this book last week and I was so disappointed when I got to the last page! It is one of the best books I have read! It's truly captivating and is one of those novels that you cannot put down. 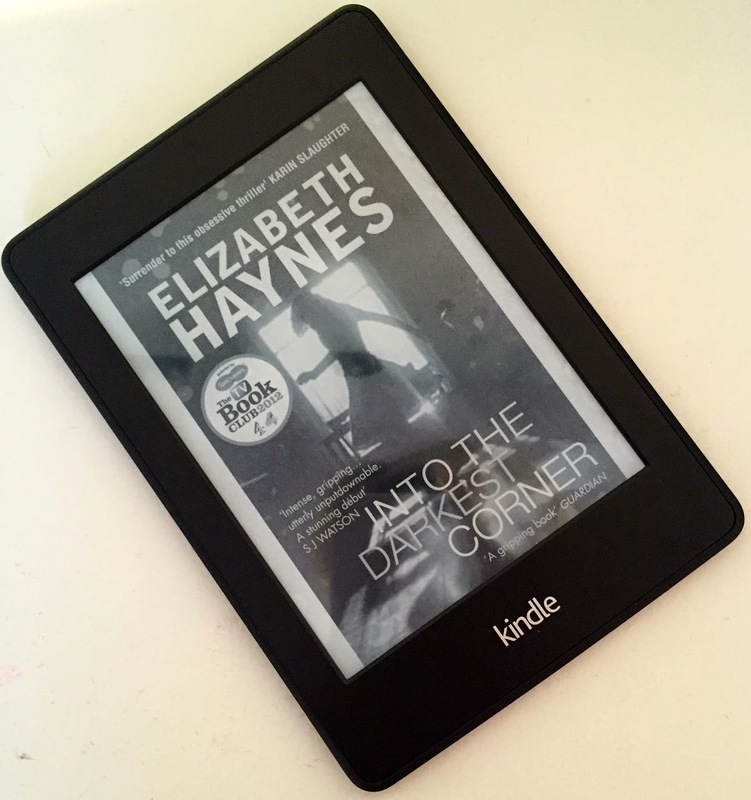 I don't want to give too much away but 'Into the Darkest Corner' is a psychological thriller which is set in the eyes of Cathy. It's a dual narrative story which alternates each chapter between Cathy in the past - very confident and outgoing and meeting a new boyfriend - to the present day Cathy, who is the very opposite. She is now living alone, plagued by OCD and panic attacks and living a life of fear. As you read more into the book you understand what has happened to Cathy to make her this way. There are loads of twists and turns and I think the style of flicking between past and present really works. I'm now on the hunt for another book to keep me as hooked as this! Any recommendations? Please let me know! I know this song has been out for a while now, but I have been playing it so much recently! I have it on a playlist I made, and this one gets put on repeat a bit too much! I just think its a really upbeat track and very catchy. I also have noticed that it's the music for a Marks and Spensers advert at the moment. So I'm hearing it twice as much now! 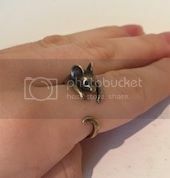 I found this cute little Gold Mouse ring when I was browsing on Etsy and I fell in love! It's so sweet, and was pretty cheap at only £5.74. The shipping was less than £3 too! The seller I bought it from has lots of other rings to choose from and I was going to buy the (also very cute) Bunny ring until I saw the Mouse. The ring really good quality, I think it's made from brass, and you can adjust the size which is handy (pun intended) as my hands are pretty small. I've been wearing it most days since it arrived. I know I am SO late on the bandwagon with this one, but I have just finished Season 1. It did take me a few episodes to get into it, but by Episode 5 I was hooked. I've been looking for some new Autumnal shades to paint my nails, as looking through my nail polish collection I only seem to have summery pastels or festive glittery shades. So one lunchtime I popped down to the Superdrug near to my work and went straight to the Barry M stand for a nose at what new colours they had. I wasn't disappointed. I just picked up one colour which was the 'Barry M Gelly Nail Paint' in 'Chilli' which is a Red colour but with sightly Brown undertones. I thought this was a perfect Autumnal Red, rather than I bright Christmassy Red that I have in my collection already. I'm going to pick up the shade 'Mustard' this week, which unsurprisingly is a mustard colour, but from pictures I've seen looks very flattering, and would look great when wearing Grey or Navy Blue. There is a couple of gorgeous Essie shades that I have my eye on at the moment too! I can't believe I started my blog less than a year ago and pretty much abandoned it after only a couple of posts! Bad Blogger! Lets just say that I had quite a lot of personal things going on and wasn't feeling in the best of places for a while… Unfortunately this meant that my blog, that I'd been wanting to start for ages, just ended up being pushed aside. However after catching up with my favourites blogs recently I now have that blogging itch back! My first post after this incredibly long gap is something that I may put up each month. Its basically a few items that I am currently lusting after. They aren't necessarily only beauty items, more just an array of bits and bobs that have caught my eye on websites/in stores/on blogs. My favourite item on the list is the Topshop Coat. I am definitely going to be purchasing it, or something similar, come payday. I do already have a lovely comfortable Parka that I bought a couple of years ago in Zara, but I'm in need of a smarter coat for when I'm out on those chilly winter evenings. 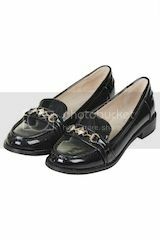 I haven't actually seen this in store yet, only on the website, so I am hoping it is a gorgeous as the photo's! I especially love the blue tone. As a girl who usually sticks to mainly black, white or grey, I think this will inject some much needed colour into my winter wardrobe. 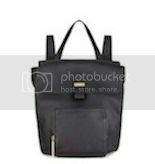 The Whistles backpack is something I have seen recently on Instagram. I personally wouldn't be able to afford to splash out on a bag of that price (£275) but I would really like to find something similar. I am a MASSIVE Disney fan. One of my all time favourites being Sleeping Beauty (hence my blog name which I mixed with my own name). 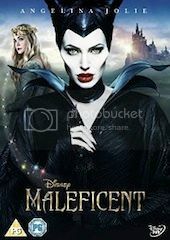 I loved Maleficent when I saw it at the cinema, and I cannot wait to pick up the DVD!